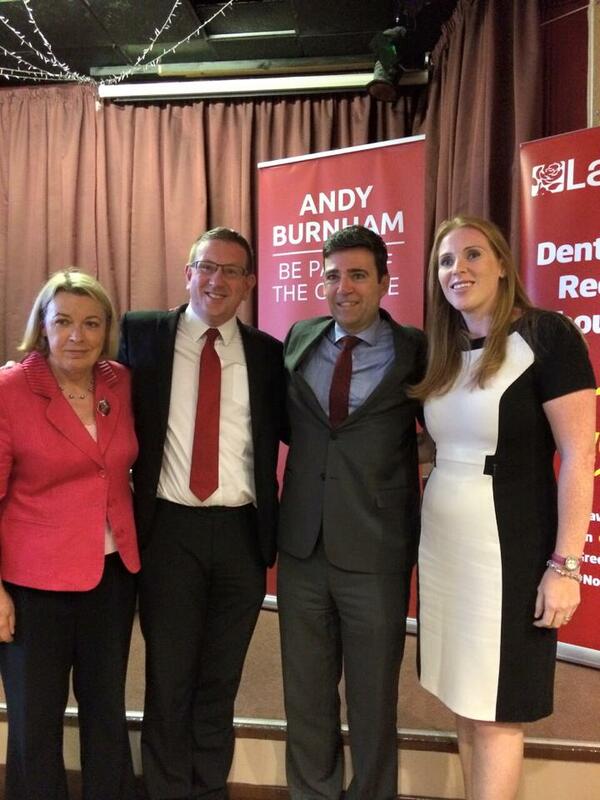 I was one of the first MPs to back Andy Burnham as soon as the race was kicked off. I supported Andy because, whilst I am serving another term in Parliament, there are colleagues that did not make it. I do not want to see that again, because I can think of few things less appealing than another term for the Tories. This is a campaign in which we face a choice – a choice between two competing visions for our Party and our country, and a choice about who can best take the fight to the Tories and win. Andy has set out his vision of a Labour Party that helps everyone get on in life. He has underpinned this vision with a radical set of policy proposals to put Labour values into practice, underpinned with a credible economic plan so we win back public trust and put our policies into action. In the last election we became too timid, making small retail offers instead of fighting for big visions. The modern Labour Party simply would have been too timid to create the NHS. That is why Andy wants to change our Party – so we can change the country. The people of this country simply did not believe us when we said we were serious about tackling the deficit, and they did not trust us when we said we wanted to grapple with the big issues facing us. Andy has a record of delivering on his promises. In this leadership contest, he has set out five pledges on giving hope to the young, an affordable home for all, a secure well-paid job for everyone, affordable and reliable transport and good care in old age. And with Council elections in many areas next year, the fightback begins now to take Labour back into power in town halls across the country and prepare for us coming back to power nationally in 2020. Andy is the candidate that speaks directly to the British people and fights the Labour cause in every part of our country. And every poll of the general public shows that Andy is the best candidate to win for Labour in every part of the country. I invited Andy to Tameside, and he packed out Denton Labour Club. The way he demonstrated that he could reach beyond the Westminster bubble and appeal to supporters as well as members proved to me that he has what it takes to win over the country. I firmly believe that Andy Burnham is the leadership candidate best placed to rebuild our support and take us into the next election, so if you have a vote, please consider using it to support Andy.